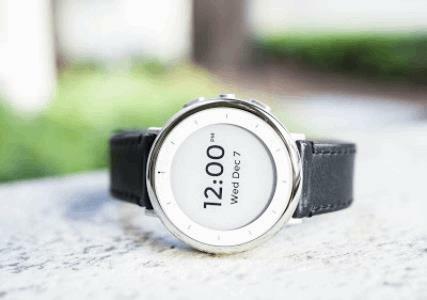 Verily notes that its Study Watch is an investigational device, and is not available for sale. With Verily’s new “investigative watch,” the only information the clinical trial participant can view is the time and date, but researchers have access to a host of physiological data and biomarkers, including heart rate, activity data, and electrocardiograms (ECGs). Verily plans to use the watch in its “Baseline” study, which will collect data from thousands of healthy participants to track the earliest biomarkers of those who become ill over time. Wearables can expand the pool of potential trial participants across multiple geographies using remote monitoring, and the continuous real-time data is more accurate than traditional patient-reported outcomes, according to a report compiled by PWC. Wearables also reduce the cost of investigations by reducing the number of clinic visits, and their additional convenience increases the likelihood that subjects will continue with the study at a time when dropout rates are sometimes as high as 30 percent. “The use of wearables has the potential to be a revolution,” Kara Dennis, managing director of mobile health at Medidata Solutions, told Bloomberg, which reported that over 300 clinical trials were conducted using wearables in 2015. Verily’s proposed “study watch” can run for one week without being recharged or synced with the external data cloud, and the device can store weeks of raw data at a time. As new technology is developed, the watch can be upgraded “over-the-air,” and the platform is robust enough to accommodate future extensions. Though the watch only displays time, date, and some instructions for use, its system of multiple environmental and physiological sensors can monitor a wide array of signals at one time. ECGs are collected when the wearer grips the metal bezel of the watch. Bastiaan Bloem, a Dutch neurologist who will participate in the PPP study, told MIT Technology Review that using the watch will give researchers access to data they’ve never before been able to study long-term, including sleep patterns and heart variability. Bloem commented that the study could identify subgroups of Parkinson’s patients who could benefit from different kinds of treatments. Over seven million people are currently monitored using connected health devices, reported Berg Insight, and that number is expected to expand to 50.2 million by 2021. Research and Markets projects that the global market for smart wearables will cross $30 billion by 2020.